Be our guest and fly with us. Either come to the gliderport or book a flight directly. 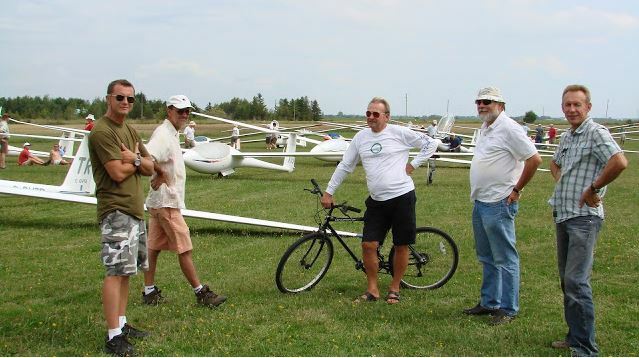 All flights are done in certified, two-seat aircraft, by Transport Canada Licensed pilots. Choose a gentle glide or a 'hands-on' instructional experience. You can also buy a gift certificate for yourself or a friend. Flights start with a briefing by your pilot about the glider, normal flight procedures, and safety. 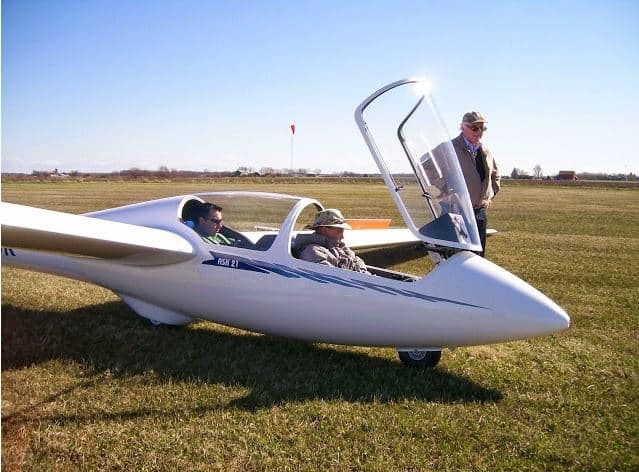 Then you are escorted to a two-seat glider and secured in the front seat. Your pilot sits in the back and performs pre-flight checks before launch. The pilot does the flying during the takeoff, landing, and launch phases. However, after the release point, if you like, you can get some experience controlling the aircraft. A normal aerotow takes you to 3,000 feet (900 metres) above ground. Depending on the weather conditions, you may climb above that. Your flight typically lasts between 12 and 30 minutes. 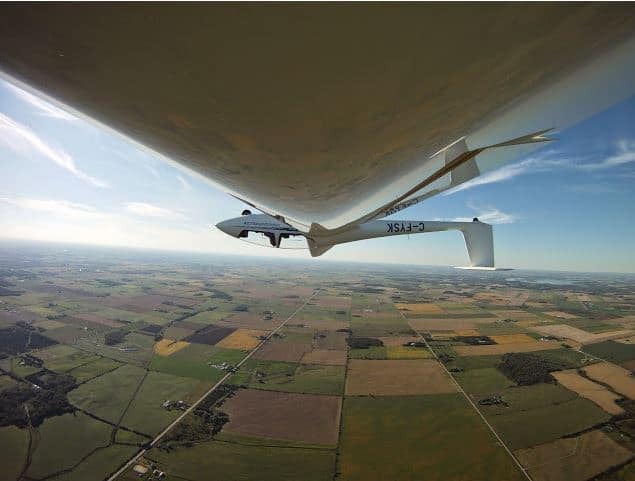 To get your licence you will be required to complete 20 solo flights, take the ground school and write a Transport Canada Glider Pilot's exam (at the airfield). When you pass you will be licensed! 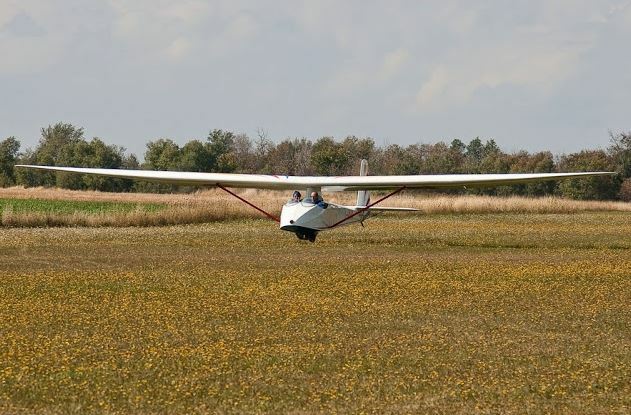 After License, you come and fly as much as you like, still only paying for the rental of the glider and the tow fee.